Using 5 information packets, students are assigned cooperative learning groups and manipulate this web of interactions between organisms. The natural balance of organisms is due in part to their feeding habits. 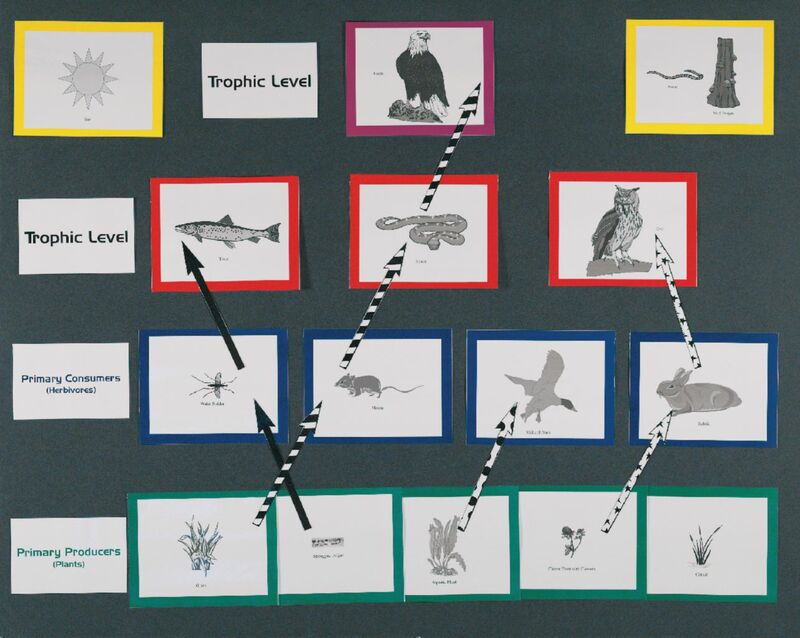 This kit, developed by teacher Brad Greenspan, enables students to analyze food webs and assign trophic levels to each organism. 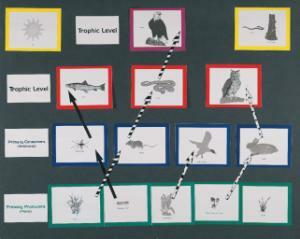 Your students will discuss what happens when an organism is removed from the food chain or a non-native species is introduced.